I don't even recall what the student said. It was an off-hand, joking comment about my weekend. And that's when I started to feel the tears well up. "It was a bit difficult, actually." A few students noticed, crossed the room, and asked gently, "Are you okay?" I answered honestly. About a year and a half ago, my father was diagnosed with cancer, but after a difficult surgery and six months of chemotherapy, he recovered. Unfortunately, this past weekend, we learned that he again had cancer. A different type of cancer. But cancer. I shared this with my students. And what followed was heartbreaking. Cancer has touched the lives of nearly every one of my students. I have a number of students who have lost uncles and aunts, grandparents and cousins to cancer. The student who left my first period class in tears this morning revealed that her aunt was in surgery this morning to remove a tumor and that family had texted her during class to update her on the progress. A couple of my students have lost parents to cancer. A father lost to lung cancer five years ago. Another student learned this weekend that her mother's cancer has grown. Doctors discovered a tumor on her lung and two more growing on her brain. It is a club that none of us want to belong to: the Those-Touched-By-Cancer club. What I discovered today was just how large our club really is. As students in the room caught snippets of what began as a small group discussion, they drifted into our conversation circle, sharing with us their heartbreak. Before long, many in the room were sharing their stories. At one point, we started to wonder how it was that so many of us, nearly all of us in fact, had so many personal connections to cancer. "When I was younger, I don't think I understood what it was. Maybe it has always been like this, but we're just starting to realize what it means to have cancer," volunteered one of my tenth graders. "My family just wouldn't talk about it. I don't think they thought I could handle it. They thought they were protecting me. But not knowing just made it worse." "Maybe it's always been like this, but we've gotten better at identifying cancer. Maybe the tests have gotten better." That's when a student made a connection to something we are working on in class. "I wish I did something about cancer for my IonPassion project. That's what breaks my heart. Cancer. That's what I want to fix." And that's when I could respond, "You can." This is how meaningful, purposeful, heartbreakingly important works comes from the classroom. We have to share what touches us, what breaks our heart. Both teachers and students need spaces to share without fear. This is where innovation comes from. We need classrooms where students have flexibility to share, to find the work that is meaningful both to them personally but also to our local and global communities. So, now I have students who are rethinking their inquiry projects. 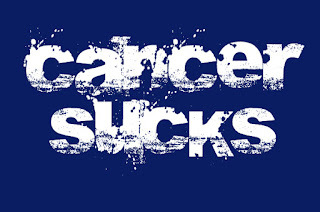 I have students who want to do something about cancer. They are not sure what they will research, but you can bet that I'm going to share Jack Andraka's work. Before his 16th birthday, Jack developed a more cost-effective and accurate test for pancreatic cancer. And I know that even before they begin their inquiry work, my students are embarking on learning journey that will certainly bring our community closer. This is learning that touches lives in hopes of changing them. This is what can happen when we share.